Beersel Castle is located in the town of Beersel, just south of Brussels. It has 3 massive watchtowers, and is surrounded by a wide moat. 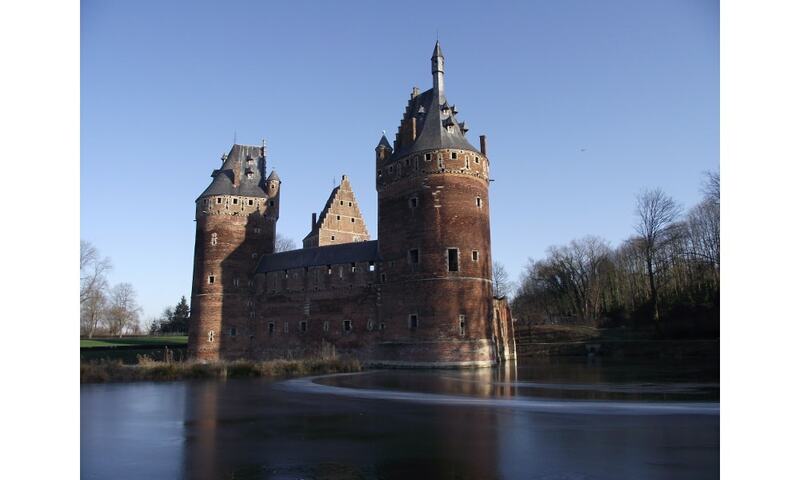 The present fortress was constructed by Godfrey of Hellebeek between 1300 and 1310 as a defensive base for Brussels. The castle was damaged during the war of succession of Brabant, as well as during the rebellion against Maximilian of Austria (when Beersel supported Maximilian). It was only partially destroyed, and was restored after the war. The castle became unoccupied from the 18th century. It was donated to the League of Friends of Beersel Castle in 1928, which restored it.